Because of Lynn Valley’s various parks and recreational activities, its residents are never far from fun! You can stretch your mind as well as your limbs at our municipal recreation facilities. 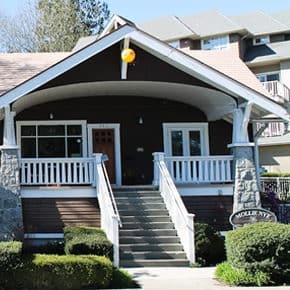 Click here for a listing of North Vancouver’s rec centres; those in Lynn Valley include Karen Magnussen, Lynn Valley and Seylynn. Between them, they offer a wide range of sports, arts, fitness and social programs for preschools, youth, adults and seniors alike. Karen Magnussen Rec Centre is home not only to our busy ice arena, but also a leisure pool with wave action not to be found anywhere else on the North Shore. Public swim and skate schedules, along with a calendar of drop-in fitness classes, can be found here. Mollie Nye House, located near Karen Magnussen rec centre on Lynn Valley Road, was afamily home built by local pioneer Jack Nye in 1912. The heritage house is now a busy hub for seniors’ programming (including popular walking groups, arts, music and health classes) as well as youth offerings such as Mad Scientist summer camps. Mollie Nye House can be rented for meetings, social events or workshop leaders. Click here to learn more about the programming and opportunities at Mollie Nye, and mark December 1 on your calendar, when the community gathers to celebrate the lighting of the house and grounds for Christmas. A 1919 landslide wiped out the park’s original playing fields, but there is no shortage of things to do in Lynn Canyon today. Hikers have their choice of hiking trails, which network with the adjacent wilderness parks to provide adventures for all fitness levels. 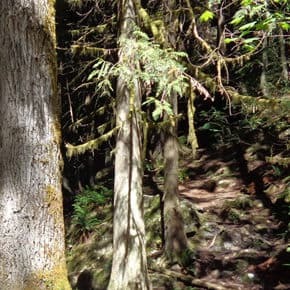 Running through Lynn Canyon, for example, is the Baden Powell trail, a continuous path from Horseshoe Bay in West Vancouver to Deep Cove at the far eastern end of the North Shore. 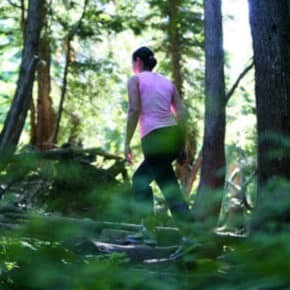 An all-season park destination is the Lynn Canyon Ecology Centre which is open free of charge (suggested donation: $2). A number of exhibits bring local plant, animal and environmental learning to life, and visitors can choose to view any one of more than a hundred nature films that the centre has on hand to screen in its small theatre. Check the ecology centre’s website for current information on nature walks, junior naturalist programs, or gardening workshops. 30-Foot Pool is a longtime local swimming hole popular on hot summer days, and park rangers often patrol to ensure posted safety rules are being observed. While in the park, you might also visit the Lynn Canyon Café, where you can enjoy food and drink under the forest canopy during the summer season. With various parks and elementary schools in the area, Lynn Valley residents are never far from slides and monkey bars. 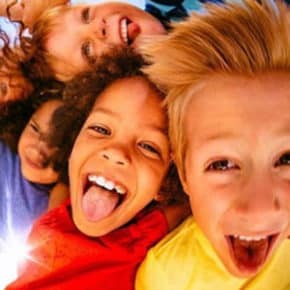 Of special note during the summer months are Kilmer and Viewlynn Parks, which offer water park fun for kids looking to cool off. Skateboarders, on the other hand, will want to know about Kirkstone Park, adjacent to Karen Magnussen Rec Centre, as it offers boarders a safe place to challenge themselves and practice their skills. Click here for a complete listing of North Vancouver parks. Many churches in Lynn Valley will be welcoming Easter visitors tomorrow – if you would like to find details on their websites, please check out..